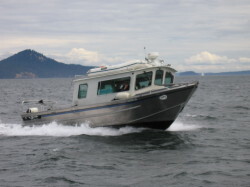 Island Water Taxi – Island Water Taxi servicing the Southern Gulf Islands. Island Water Taxi continues to provide cost-effective, fast, reliable water taxi services to the Southern Gulf Islands since 1999. 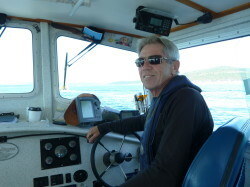 Reg Kirkham started the business as Island Camping Co with a passion to provide equal access to the BC Marine Parks (now the Gulf Islands National Park Reserve of Canada) for residents and visitors alike. Reg was born on Saltspring Island with the beaches and water of the Salish Sea as his lifelong backyard. After many years of operating a commercial fishing vessel on the BC coast, Reg and his wife, Sheena, settled in Sidney to raise a family. The call of the sea beckoned him back in 1999 to familiar waters. 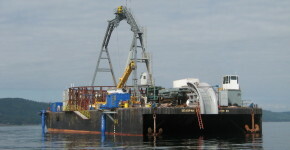 In 2004, Island Camping 2004 Ltd was incorporated with the construction and launching of “WestyToo”, a 27-foot aluminum 11-passenger boat. 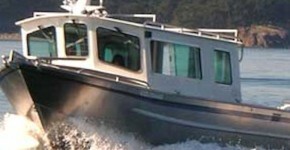 With over a decade of connecting people on the Gulf Islands through recreational and commercial water taxi services, Island Water Taxi is the premiere transportation offering in the region. Island Water Taxi delivers 24 hours, 7-day service to corporate groups, commercial contractors, private charters and recreation eco-adventures. Maximize your valuable time in the Gulf Islands by minimizing your travel time with Island Water Taxi, based in the Port of Sidney Marina, Sidney BC. 100% pure nature … all the time!